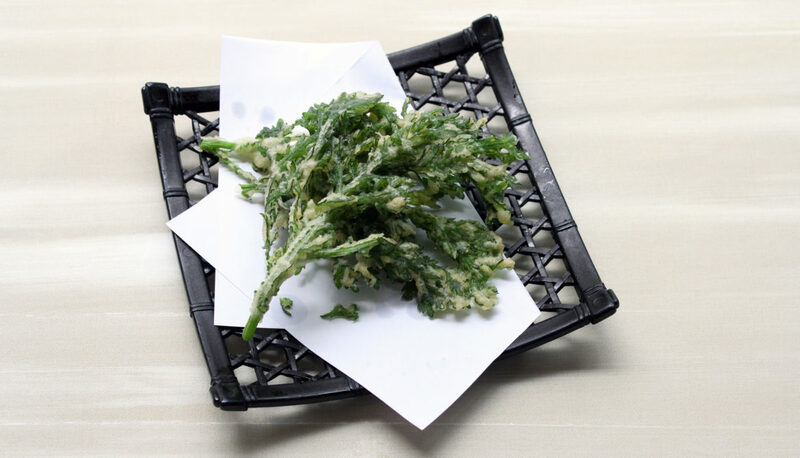 Deep fried Chrysanthemum leaves coated with egg batter. 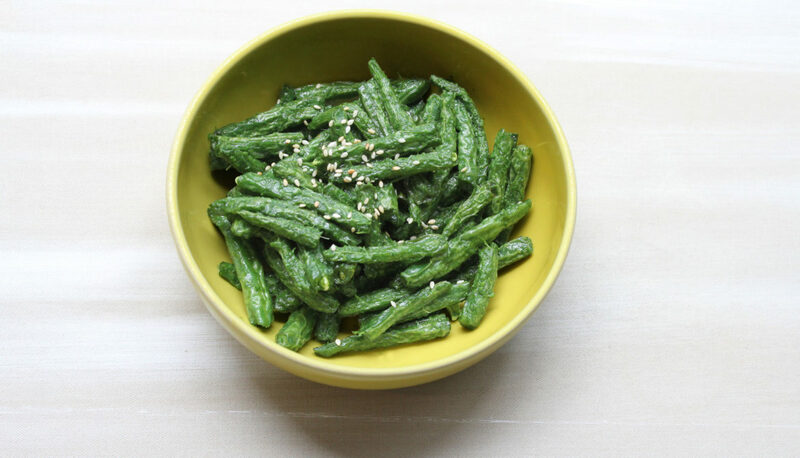 Deep fried green beans marinated with Japanese style pesto sauce. 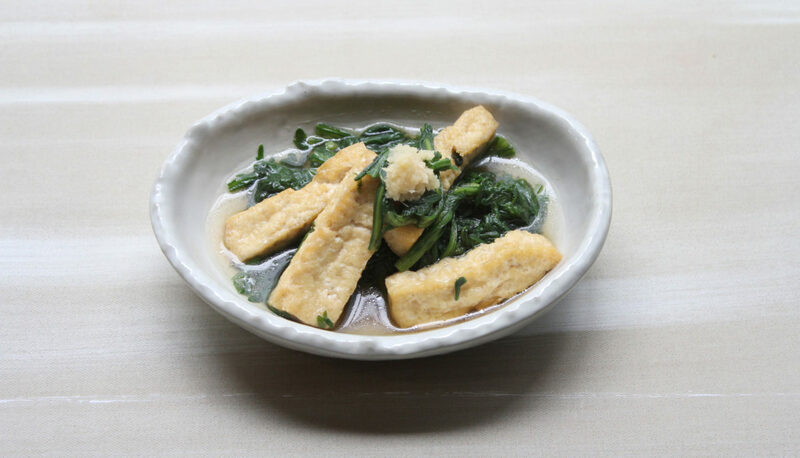 Chrysanthemum leaves cooked with ''Dashi" (a Japanese fish broth), served with deep fried tofu. 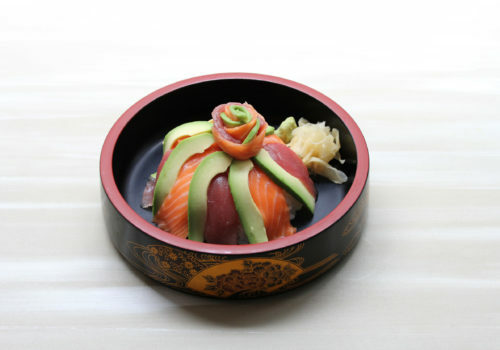 Thinly sliced avocado, salmon sashimi, and tuna sashimi overlaid on the top of sushi rice. Yamato is the home of fresh Japanese cuisine any food lover ought to try! We have a wide variety of sushi and sashimi dishes on deck. 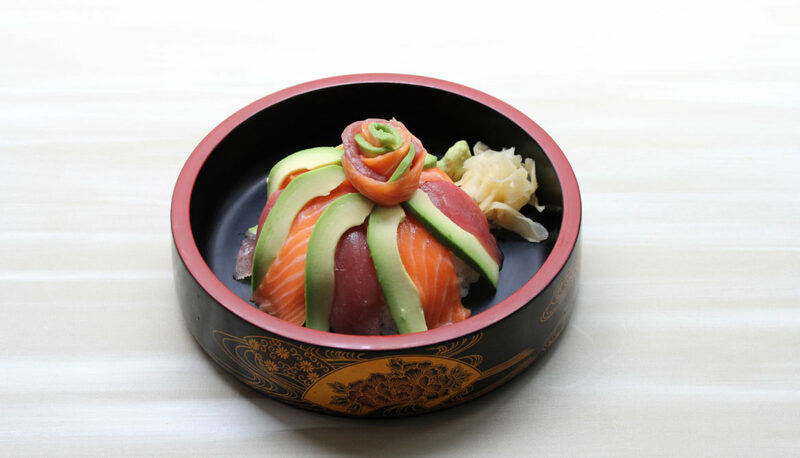 Reserve a table and enjoy a taste of what proves to be the best sushi restaurant in Johannesburg, South Africa.